In 1997-98, Roen Salvage Company reconstructed the north and south harbor entrance piers at White Lake Harbor in Michigan. 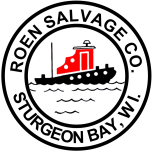 Due to the quality of our work on this project, the US Army Corps of Engineers awarded Roen Salvage Company with the 1998 Civil Works Construction Contractor of the Year Award. 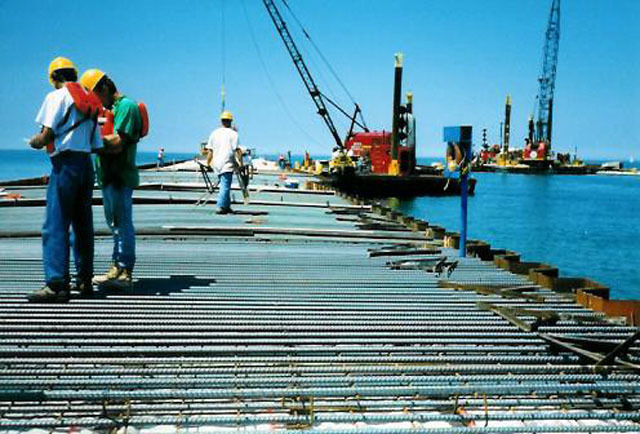 The project consisted of encasing two existing piers and two existing revetment walls with steel sheet piling. 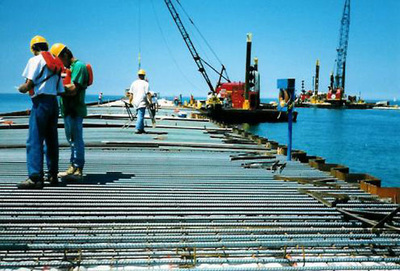 The north pier required 1,400 lineal feet of sheet piling, while the south pier required 1,734 lineal feet. 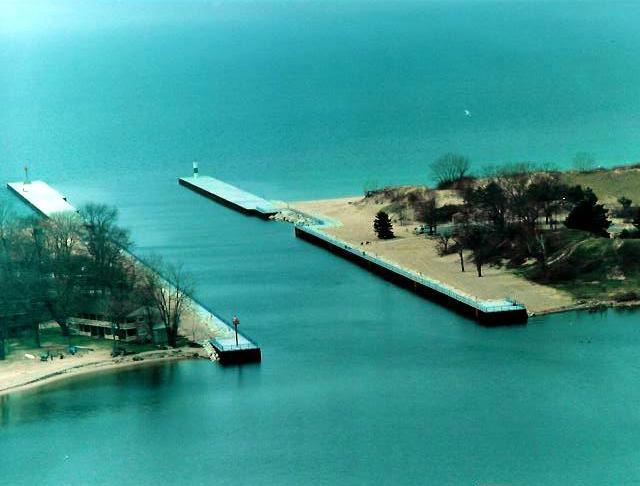 Both piers were capped with 18 inch thick reinforced concrete. 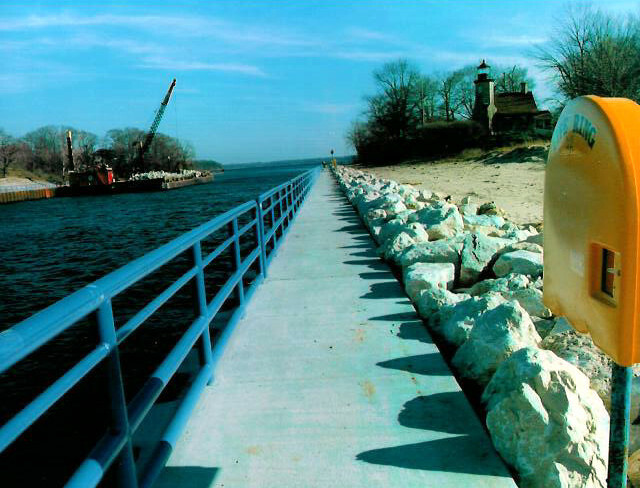 Revetment sections were capped with a 12 inch thick by 6 feet wide reinforced concrete walkway. 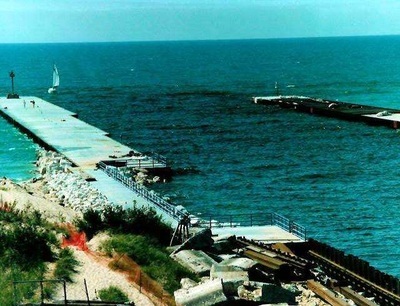 Wave attenuation rubblemounds were constructed between each pier and revetment section. 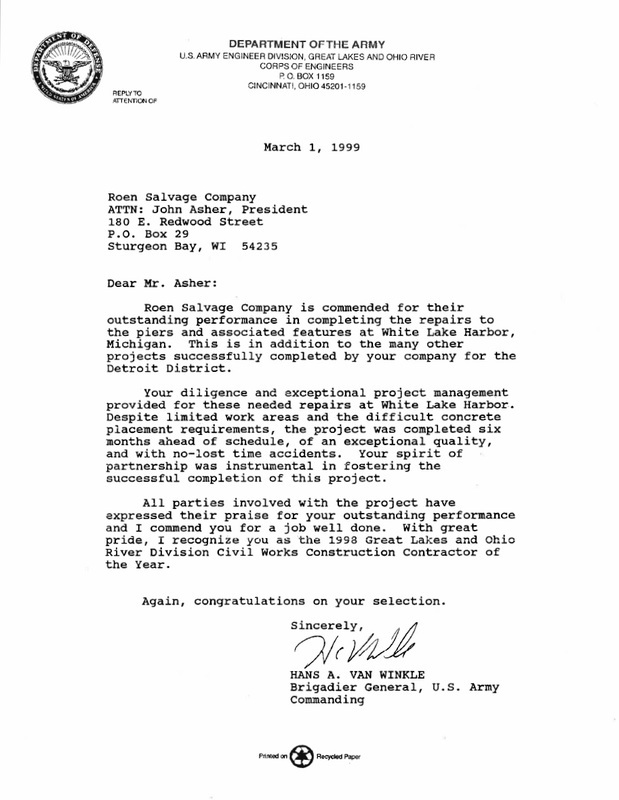 This is one of the first projects by the Army Corps of Engineers to incorporate such structures. 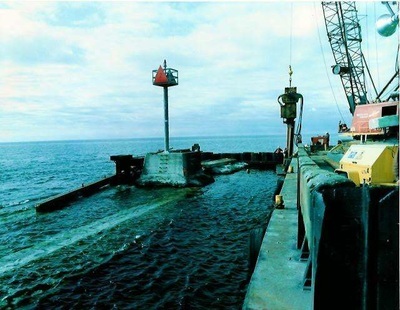 Once constructed, these structures reduced wave heights in the channel significantly and are now used in every similar Corps of Engineers project. One unique challenge faced on this project was getting concrete from plant to placement in under 90 minutes. To accomplish this, five redimix trucks were placed on a barge. 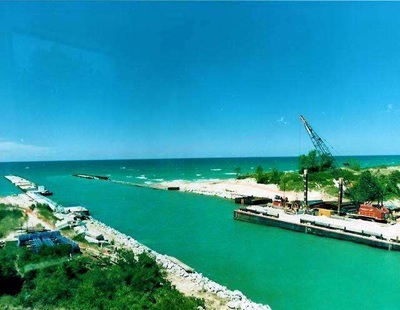 The barge was then pushed by tugboat to the placement site. The concrete was then loaded into 3 to 5 cubic yard hoppers. Those hoppers were swung by crane to the concrete crew. In a 10 hour day, up to 450 cubic yards could be placed using this method.